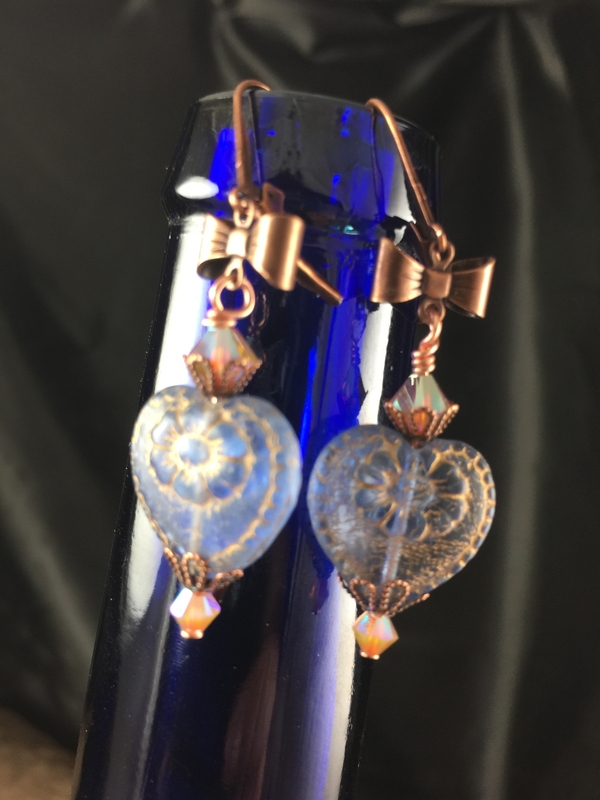 Baby Blue Czech Glass frosted lace flowered hearts. Accented with Swarovski crystal and pearls and a small brass bow connector. These earrings measure 1 3/4" in length, ship quickly, are attached to lead and nickel free leverback ear wires and arrive gift packaged.